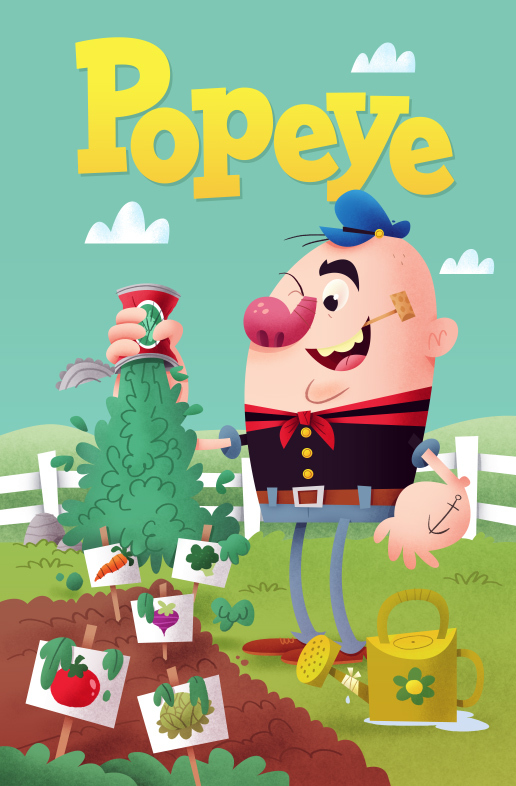 Here's the variant cover I illustrated for IDW's Popeye Classics #12. It was an incredible honor to be asked to illustrate a character I adored as a child (and still do, as an adult). 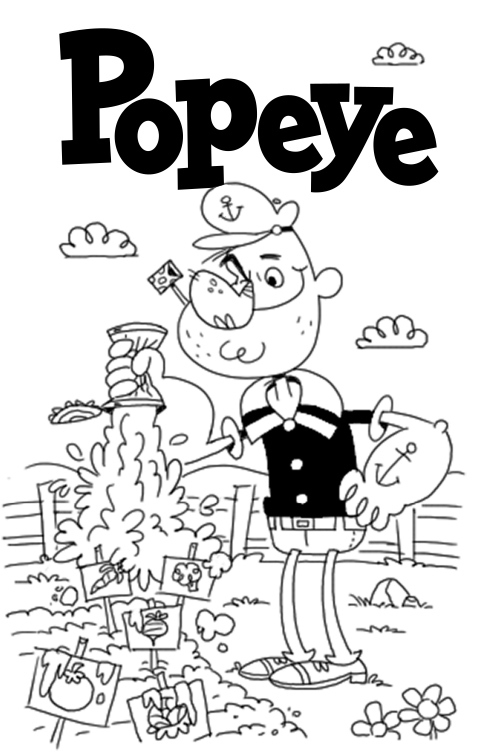 The sketch was my original take on it, but they wanted something more like the Popeye illustration I did a few years back. I went with a pretty simple visual gag, but I'm happy with how it turned out. If i had to do it over though, I would have drawn some giant vegetables to really sell the joke. Oh well! If anyone finds a copy, i'd love to see it!